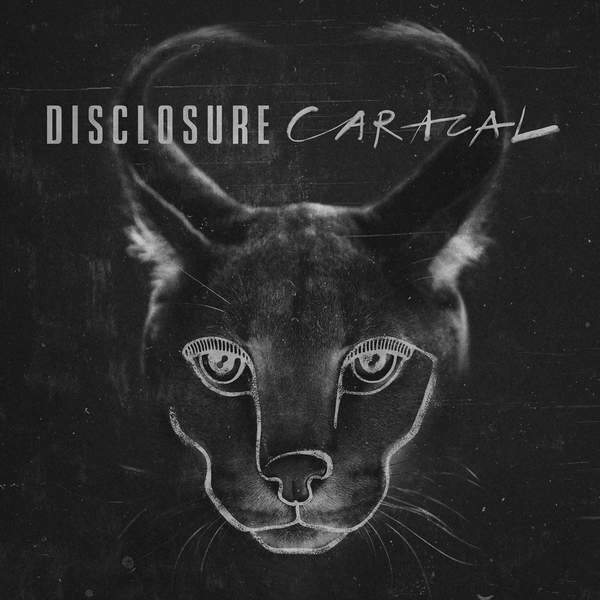 So Disclosure have released a new album and I’m excited about it. It goes by the name of “Caracal” and features everyone from Miguel to the Weeknd – the album sees Lorde seduce a married man in the video for ‘Magnets’ and also introduces us to the new James Bond track vocalist with “Omen” featuring no other than Sam Smith. The Lawrence brother’s are deservedly celebrating their second UK number 1 album, a massive achievement considering they’ve only been active since 2010, and what a huge progression since their early days in the industry. Holding on is a track that features Grammy winning Jazz singer Gregory Porter, whose voice has been anywhere and everywhere this past year, even on this particular song “Holding on” which has been a massive hit prior to the album’s release. The background synth and almost clap-along beat is a standard with Disclosure tracks and it fits beautifully with Porter’s gliding vocals. Up next we have an 808 that leads us into a snare, and a snare that leads us into some extra terrestrial sounding special effects, that eventually lead us into the magnificent roar of Lion Babe. “Hourglass” is Jillian Hervey’s first feature track, and she couldn’t have picked a better duo to collaborate with. In “Hourglass” she stays true to her soulful husk, and this combined with the magic of Disclosure’s production makes for a pretty easy listen. “Willing and Able” by Kwabs is my favourite from the album, it’s introduced by trademark Disclosure percussion and is completely chilled and relaxed. I’m a huge fan of the very slight reverb on the vocals, and the synth progression on the build up to the chorus is what holds everything together. Regardless of who Lorde collaborates with she always manages to keep in tact her signature style and doesn’t lose any of her substance through the wants of other artists. Her feature track is called “Magnets”, and both Lorde and Disclosure performed last year at the Brit awards, doing a combined version of “Royals” and “White noise”. They obviously clicked and realised they worked well together because “Magnets” has an absolutely incredible sound that takes the qualities from both parties and merges them into one. King of the slow jam Miguel has his spotlight with “Good Intentions”. Just by listening it’s really quite hard to tell it’s his vocals, and this song I feel is slightly over processed. I wouldn’t say Miguel’s sound is distinct, but it’s definitely recognisable in his own music. I really feel like it’s been lost under all these deep house Disclosure layers and I can’t help but imagine how amazing it would sound if his voice was a little more raw and stripped back. Ever since hearing her own track “Zillionaire” I’ve been obsessed with Nao. It was a song I had heard and forgot to Shazam, thus spending days of my life trying to piece together the lyrics I could remember in the hopes that a google search would reunite me. “Superego” definitely does not disappoint, it’s what liquid gold would sound like if it had the ability to sing. Again it incorporates a ridiculous amount of synth and layers but thankfully they don’t take away from the quality of her vocals, she makes it work and that’s just her style. The album draws to a close with Echoes, which isn’t anything that different to what we’ve already heard from Disclosure. It features Synth, obviously. Why do the Howard brothers love synth so much? The last track on the album goes by the name of “Masterpiece” featuring Jordan Rakei, it’s a slow start with a slight build up, but it’s not what I would call a masterpiece. All in all I would probably give “Caracle” a 7 out of 10 rating, it had the potential to be a 10 but I feel like the boys have played it too safe and repeated a lot of the same sound that could have been really innovative and new. It wasn’t an album that featured tracks I was surprised by, instead I was kind of thinking “oh, more synth.” I understand that Disclosure have a particular sound but sometimes it’s good to step out of the box and make something that really surprises listeners which they’re more than capable of doing. Hat’s off to them though, because they’ve produced some really solid material and I know there’s more greatness to come. It’s pretty difficult to say as always who will be the winner of the 2013 Mercury Prize and I’m not about to make any definitive predictions about it either. However, personally I’d be pretty happy to see Savages win the prize this time around. They may not be the popular or the obvious choice but they made a very bold and prominent statement both musically and lyrically and stylistically with Silence Yourself which I thoroughly enjoyed when I looked at it earlier in the year. I find it hard to see Rudimental winning it while Disclosure and Jon Hopkins are in the contest too. Between the three, the latter two are far more imaginative and creative while Rudimental fall more into basic song structures and vocals that do work but look primitive next to Disclosure and Hopkins. The same can be said when comparing Jake Bugg and Arctic Monkeys. Jakes debut was fantastic but The Monkeys are at the peak of their career and have produced an album in AM that has been refined at it’s core and much more considered in musical structure and textures, even if they may be a populist vote. But they have won it before of course so that may work against them. If Jake is a folk musician then Laura Marling would also be a step ahead for the basic reasons of being more knowledgeable and experienced and producing more thought provoking work with Once I Was An Eagle. James Blake has produced such a soulful album with a raw atmospheric quality to it but Laura Mvula has created a much more novel and unusual album in comparison to him and she is being hailed as a possible favourite. Using this train of thought then Villages would also be pushed back. Foals have done well with Holy Fire to create an interesting and developed sound while keeping it catchy and rhythmic too. They can certainly by-pass some nominees without a problem. Then that just leaves Bowie. Though his shock comeback was a massive and very welcome surprise, it doesn’t hold up against McCartney’s efforts and therefore shouldn’t do so against most of the nominees. Nothing Bowie does is ever of a poor standard but it does seem that he has been placed there on the circumstances of his album rather than its content.